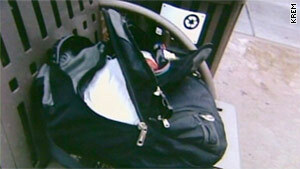 The FBI confirmed Tuesday that a suspicious backpack left in Downtown Spokane Monday did contain explosives. (CNN) -- The bomb-carrying backpack found along a Martin Luther King Day parade route in Spokane, Washington, is being investigated "as an act of domestic terrorism," the FBI said Wednesday. Supervisory agent Frank Harrill would not provide details on the device's components or how it was constructed. "We won't comment or try to rate the device," Harrill said. "But preliminary analysis reveals this device had the potential to be pretty lethal." The device was discovered Monday morning by three parade workers before the event, Harrill told CNN. The city's explosives disposal unit neutralized the device, and it will be analyzed at the FBI's lab in Quantico, Virginia. The incident forced organizers of the parade to change its route, CNN affiliate KREM said. "Clearly it's not coincidence that it's placed along the march route," Harrill said. "But it's too early to ascribe a motive, whether it's racial or political or something else." "It's being addressed as an act of domestic terrorism." Harrill said there was no threat received before the device was found nor was a note found with the backpack. The gray backpack was placed on a bench at the northeast corner of North Washington Street and West Main Avenue in downtown Spokane, the FBI said in a statement. Agents have leads in the case, but Harrill would not provide details on the investigation, which includes a $20,000 reward for the arrest and conviction of those responsible. The FBI released photos of the Swiss Army-brand backpack and two T-shirts that were found within. One shirt says "Treasure Island 2009" and the other reads "Stevens County Relay For Life June 25th-26th 2010." The FBI is asking the public for information on who might have been with the backpack from about 8 a.m. to 9:25 a.m. Monday. It also is asking for photos or videos taken in the area.